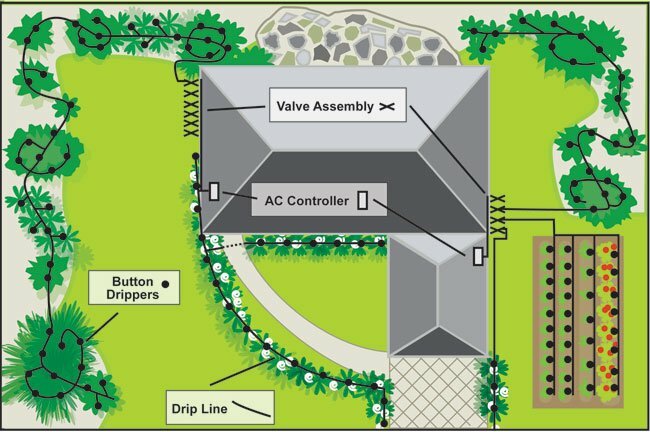 These are the basic components of a residential irrigation system, aside from design standards and techniques, I hope this will help you understand the individual components of the system and the function they perform. Familiarize yourself with where the water comes from for your irrigation system. Many areas are now using recycled or "reclaimed" water for the purpose of watering turf grasses and landscaped areas. Ask your builder or homeowners association if your home uses this type of water and where you would expect to shut it off in the event of an emergency or for maintenance issues. Some areas are still using municipal or "city" water for irrigation. If this is the case, instead of one, there will be two, back-flow prevention devices near the water meter itself. They are typically at least 12" off the ground and are made of bronze. One of these two devices would be for the sprinklers and the other one would service the home. This is where you would turn off the water for your sprinklers. Even though they are becoming a little more restricted, some homes have their own well and pump or they may pump water from an adjacent lake. In either case there will be related pumping equipment to supply water for your sprinklers. If you are not sure how to stop the water flow from the pump, be sure and speak with your irrigation professional. If the system is not shut down properly severe pump damage or failure could occur. Finally, some areas or developments have a large pumping station that delivers water to the entire subdivision. As with the reclaimed water scenario, make sure you know where to shut the water off for your individual property. Your sprinklers will either operate from a controller located on the interior or exterior wall of the garage, or they may operate from a central control system. In some cases where a single residential property has its own pump, the controller could be located near the pumping equipment. 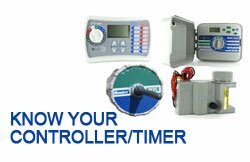 In the event that you have an individual controller for the property, familiarize yourself with how to switch the power off to the controller. Sometimes this will eliminate an emergency situation in the event that the sprinklers will not shut off. Irrigation controllers require high voltage to operate them, you should not have to remove any screws or take anything apart. If a malfunction of the controller is suspected, it should only be serviced by your irrigation professional. Know what type of sprinkler head you have. Any given property may or may not have rotary sprinklers installed. They are generally used in large turf areas that are 20'x 20' or more. They will shoot a large stream of water and will oscillate back and forth slowly. Rotary sprinklers operate on the same basis as the older impact or "knocker head" sprinklers, but most of them are gear driven these days, which makes them much quieter. 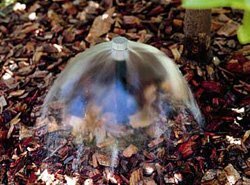 Stationary sprinklers or "spray heads" are used in smaller turf areas and may be used in landscape beds as well. Spray heads pop up out of the ground but do not move. They spray more of a mist, compared to rotary sprinklers. Spray heads come in 4", 6" and 12" heights. The size that is used depends on the type of turf grass or the sprinklers specific location in a landscape bed. The landscaped areas of the home may also have what is referred to as a standpipe. These are nothing more than a spray head nozzle attached to a fixed riser in order to attain sufficient clearance over the closer plants so the water can reach the distant plants. Low Volume or "Drip" is commonly used in landscape and planting beds. Most drip irrigation products use numerous emitters that are closer to the root zone of the plants. However each emitter lets out a very small amount of water compared to a spray head. This makes the watering process a very efficient operation, because you are targeting only the specific areas that you want to water. The water is applied at a much lower rate, reducing run off and you don't lose your water to the wind or evaporation. Drip irrigation is mandatory in many areas. If you don't see any water spraying in the planted areas around the home chances are that drip has been installed.In almost all cases, drip irrigation zones require a pressure regulator and filter. The orifice that emits the water is very small, therefore making it very prone to clogs from foreign matter in the water. More on the filter will be covered in the maintenance section. Flood bubblers are only used under certain circumstances. They come in fixed rates and there are also adjustable bubblers. A fixed rate bubbler is ideal because you actually know how much water your going to apply to the plant it's designed for. Bubblers may be used where large trees are located on the top of a berm where run off, or good saturation is a concern. The most common place you would find one on a residential home would be in a very small planting area. These areas are generally under the coach light on the same side of the garage, as the front door of the home. 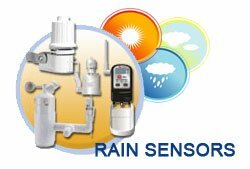 Rain sensing devices or "rain sensors" are devices that cease all watering in the event sufficient rainfall is detected. They are usually located near the controller, sometimes on the eave of the roof or mounted on conduit pipe in the landscape bed. Rain sensors have been mandatory components of an irrigation system's in many states for several years now and should be checked for proper operation regularly. 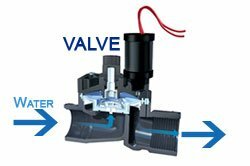 Almost all irrigations systems have an individual control valve for each station or "zone". They are usually located at random intervals around the home with only the lid visible. The lid on most control valves will be about 6" in diameter and green or purple in color. The purple lid indicates that the water comes from a non-potable source; most often this means it is reclaimed water. If there is a considerably larger box that is rectangular in shape it may house multiple control valves or the filter for the drip irrigation if applicable. Aside From filter maintenance, the control valves should only be repaired by qualified persons.